Do you have friends or family in a medical (or other) crisis? Who doesn’t, huh? How are you handling that? In my small circle we have dealt with some big ones over the last 4 years. I never did get my cape or badge or certificate, but I still feel I have enough real life experience and research to back my insights about these heart-breaking situations. The biggest impact on giving comfort can be in what you do or don’t say. Skip the ubiquitous cliches and resist sharing your own similar, (but actually, completely different) experience. No one is in a hurry, so take your time and give some thought to each word that comes out of your well-intentioned loving mouth. Make it about them, (the victim or the caregiver) not you. “This must be so hard for you.” “I’m so sorry.” “I wish you weren’t going through this.” Like that, you get the idea; short, sympathetic and focused on them. And, no %^&* cliches! None. The second biggest impact on offering comfort is not to make an ambiguous offer to help. Again, think first, before you even come into contact. Instead of asking your crisis-foggy-brained friend or family member what you can do for them, ask yourself what you would need. If you were in the same situation, what would you need? Then make a list of practical, helpful things that you are certain you can commit to. List maybe 5-8 things. Like, “I have Tuesdays off, I can make a meal for your family and do some laundry for you.” “I can come over this weekend and mow the lawn.” Or clean the house, help you make a calendar of things to do, run errands on a specific day, or any day, if you are available. Do they have a patient care page set up online to keep family and friends in the loop without a lot of phone calls? Whatever will be the most helpful for their situation. Write your final five to eight offers and hand it to the caregiver or the patient. Make sure that all your contact info is included, even if they are your best friend, and you talked on the phone every day before the crisis. Foggy brains. If you are not up to a big time or energy commitment, but would like to do something, offer to read to them. Or to sit with them for 1/2 an hour while their caregiver takes a break. Can you stop by and get their mail for them? Bring them a treat? How about be their secretary for an hour? Maybe a mini spa treatment; braid hair, rub feet, paint nails…you know them, what would they love? Careful consideration of these two things can have the biggest impact on the care and comfort that you can offer a friend or family member during a crisis. I’ve read hundreds of books and articles on the topic, and the same two issues come up over and over again. We tend to say the wrong thing or we don’t offer specific, practical help. If nothing else, find 100 ways to say that you are sorry, and skip offering to help until you know what to offer. I hope this helps you and yours, I wish none of us needed to know or use this information. Feel free to add your suggestions, questions or comments. What did I miss? Categories: Caregiver, Essays, Memoir, Phall Photos | Tags: care, caregiver, comfort, crisis, family, friend, help, hospital, illness, memoir, patient | Permalink. Thank you so much for re-blogging this!!! Those are for the things that we ‘know’ ‘may’ happen…but we don’t know when or where. But many of us make preparations for those types of things anyway. How do you prepare for major life crisis? Particularly, when something like a tornado, or large earthquake hits…everyone springs into action…some are dead, many are traumatized and displaced, if not misplaced…and we just help…we get right in there and help…we maybe didn’t know we had it in us…but we help. Back to the routine…but what have we learned? If you counted all of the single roofs, that have a major disaster occurring now…we would be seeing ‘breaking-news’ …the communities and leaders would be in action! Where’s the disaster planning and recovery protocol…for this not so unheard of or unlikely disaster? Could it be perhaps…that we’re seeing a bit of that protocol…forming here? Just not having to hear the ubiquitous “You’re strong, I’m sure you’ll be fine” would be a huge help! Or being told to have a positive attitude and all will be well. It makes me want to smack people. A hug can mean everything. When a friend or family member is in crisis, I spend a lot of time biting my tongue, trying to avoid the well-intentioned but inappropriate comments you mention above. I always feel a knee-jerk reaction to share “my” story, as if somehow that will make anyone feel better. Sometimes silence is truly golden. Things that make me ‘go’ hmmm? I know that in my own family there’s a weird competitive desire to show that you’ve suffered as much (if not more) than the person currently suffering. It’s made for some tense family gatherings around tragedies. Many years ago one of my cousins and two of his friends drowned and I actually heard aunts (mostly) and uncles use their deaths as stepping stones to talking about their own losses. That may be peculiar to my family, but it also may be the only way people know how to cope. Because what can you say that will give anyone real comfort. Nothing you say or do will change the situation, so I err on the side of being quiet but listening. The only “comfort” I’ve seen is when a person is allowed to express his or her anguish. When I have been in the depth of initial grief, I don’t hear or remember what people are saying for the most part. Yet, if I hear the “wrong” thing I do get angry/hurt. Weird. At the time, I think NOTHING could compare to the pain I’m feeling. And nothing can compare. I just remembered that sometimes children, especially the ones too young to really understand death as we adults think we do, can be a great comfort. They can be so matter-of-fact: “well, you’ll see her/him when you go to heaven, so what’s the problem?”. I’m paraphrasing of course but that was one child’s response to my stepfather’s death. And it made me smile. 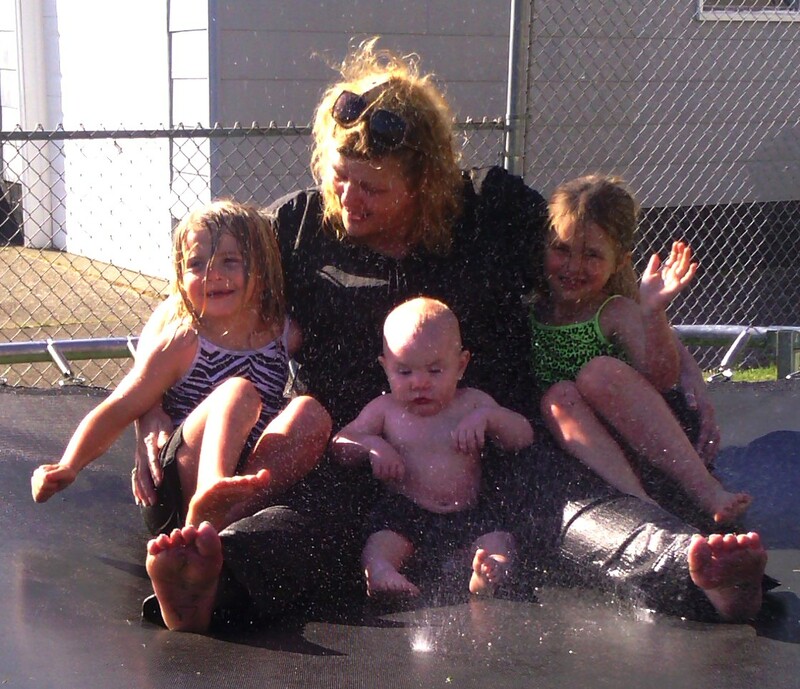 My little grands have always been the best thing for me, once I stop crying 24/7. You sound like my neighbor. Figuring it out is good, but I just think it is a natural reaction that we need to edit. Makes sense that their tragedy brings our mind back to our own. “I love you, I’m so sorry. I’m here for you.” Short and sweet and let them talk. Hugs, if appropriate. Sounds easy, but not actually. Thanks for hanging out and commenting. It seems that it is natural for us to want to share our own tragedy/crisis, because that is where it takes our mind. I do try to put myself in the other person’s place. The times when I’ve grieved over the loss of a friend or family member, I haven’t wanted anyone to offer me comfort. A hug maybe, but usually when someone tries to comfort me, I start feeling like I have to pretend it helps when it really doesn’t. As you said, nothing really helps.